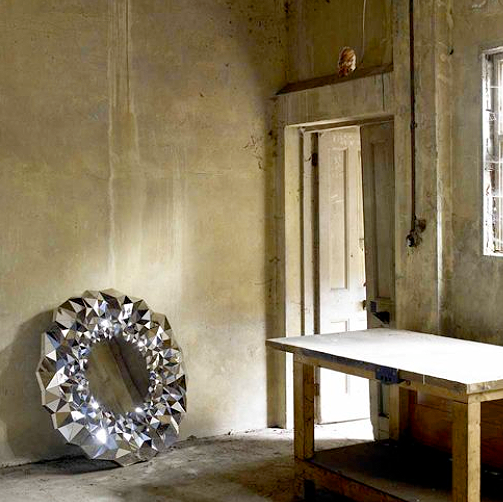 "A large, sculptural mirror, inspired by the reflective quality of diamonds"? I'm guessing you're all nodding along excitedly with me right now... Jake Phipps? You make your mother proud. Oh my gracious. That is STUNNING! A new addition to the lifelong wishlist for sure. Thank you so much for your kind words on my blog; yours is absolutely lovely! Have a wonderful weekend! Yowza! It looks like a great big diamond and diamonds are this girl's best friend! Stunning! 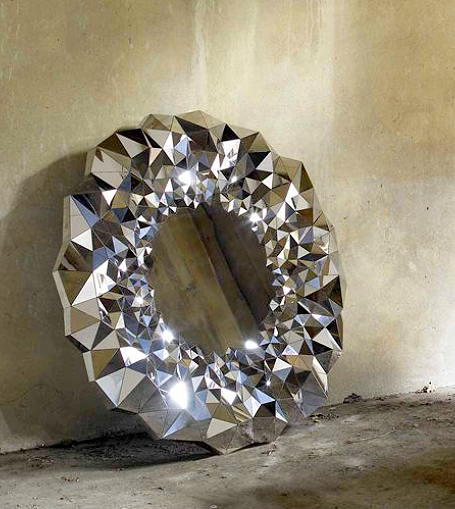 It's a really nice take on the ubiquitous sunburst mirror, which I'm starting to tire of slightly. Very unique! Wow, I wish I had seen this before I did my mirror post last week. This would have been on the list -Unbelievable! Wow that mirror is fabulous - when are they in your store?????????????? Easy to ship I'm sure. Oooh, I SO want this. It has definitely replaced my burning desire for a constellation mirror. Just found out it's a limited edition of 25 only. I gather it would be way out of budget. What a beauty. 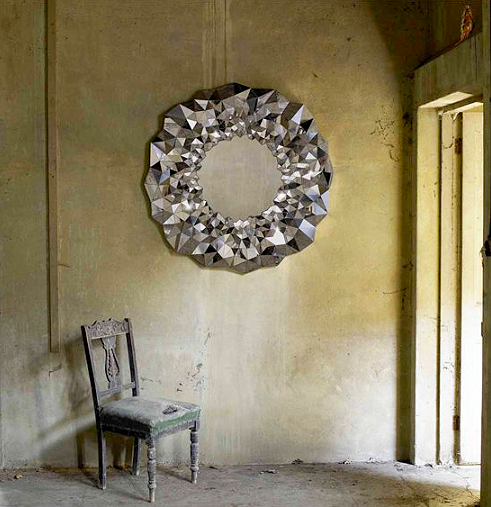 Total wall bling, I love it! however this web site gives feature based posts.